Chiropractic care is an area of health care whose primary focus is on assessing and treating pain symptoms associated with the musculoskeletal and nervous systems. In general, chiropractic care is concerned with the impact of disorders within these systems, such as back pain, neck pain, joint pain, radiating pain, and headaches. Moreover, chiropractic care is also concerned with the potential repercussions to the patient’s overall health and wellness. Chiropractic practitioners are highly specialized, and generally receive doctorate-level training. Master’s-level training in chiropractic care is also available. During a chiropractic practitioner’s training program, the trainee completes a number of courses, engages in seminars, and receives direct clinical training on assessing, diagnosing, and treating pain conditions associated with the musculoskeletal system. Upon successful completion of their training program, these practitioners are poised to provide evidence-based recommendations in terms of an appropriate therapeutic plan, along with suggestions in terms of rehabilitative exercises. Further, trainees enrolled in chiropractic training programs have the option to participate in courses focusing on nutrition. Thus, many chiropractic practitioners have excellent knowledge in nutrition, diet, and providing suggestions for lifestyle changes that are expected to improve patient outcomes. According to the American Chiropractic Association, the primary philosophy of the chiropractic profession is to provide patients with effective and high quality health care through the use of conservative and natural interventions. Individuals who practice chiropractic care place their utmost concern with the body’s natural ability to heal on its own after an injury, without the use of medication or more invasive techniques, such as surgery. Chiropractors generally take a systems approach to each of their cases. More specifically, chiropractic practitioners generally believe that understanding the underlying structure and function of the spine and how it interacts with other systems within the body, such as the musculoskeletal system or the neurological system, is necessary to understanding disease and injury. Thus, for the body to function effectively and efficiently, it must maintain a natural flow and balance. One classic example of this that has been documented in countless studies and illustrates the dynamic interplay between systems is the relationship between poor posture and the incidence of low back and neck pain. This example highlights the importance of striving for a complete understanding of these complex interactions between systems as they relate to the patient’s pain, in order to achieve a full and complete assessment, arrive at the most accurate diagnosis, and develop the ideal treatment plan. Watch A Chiropractic Adjustment – Performed Live! While there are a number of different options available to chiropractors for the treatment of chronic pain, the one most frequently performed by chiropractic physicians is manual therapy. Also referred to as manipulation therapy, spinal manipulation, or chiropractic adjustment, manual therapy has many different definitions. In terms of chiropractic care, manual therapy is defined as, “Procedures by which the hands directly contact the body to treat the articulations and/or soft tissues.” Indeed, chiropractic care primarily involves adjustments to correct the internal structural alignment of the body. Chiropractors then apply targeted and controlled force to specific joint areas. In general, they attempt to focus this force particularly on the areas exhibiting restricted or limited movement (also referred to as hypomobile) as the result of injury and associated tissue damage. There are a number of factors that have been linked with tissue damage and, surprisingly, many can occur from the involvement in typical day-to-day tasks. For instance, patients can suffer tissue damage by simply attempting to lift a heavy object, particularly when the individual is not following the proper lifting technique. Patients can also sustain tissue damage through repetitive force applied to a specific area. Some patients have sustained tissue damage by simply sitting in an awkward position for an extended period of time, particularly if the individual has a habit of poor spinal posture. All of these deleterious situations increase the risk of developing irritated and inflamed tissue, leading to both acute and chronic pain. Both acute and chronic pain conditions can be equally debilitating and can have a detrimental impact on an individual’s daily functioning. Thus, the goal of spinal manipulation is to calibrate the underlying affected tissue, as well as the surrounding joints, to restore mobility, reduce and eliminate pain, relieve muscle tightness, and promote tissue healing. Further, spinal manipulations are believed to help improve the overall function of the body thereby restoring the patient to his or her state of functioning prior to the injury and resulting pain episode. While it is relatively rare for a patient to complain of discomfort as the result of chiropractic adjustment, some patients do report that, following treatment sessions, they experience symptoms of mild soreness or achiness. These symptoms have been equated to the soreness one would experience as the result of strenuous exercise. They are reported to be generally mild and typically resolve within 12 to 48 hours. Chiropractic care and chiropractic manipulation are among the oldest treatment modalities still in use today. In fact, manipulation for therapeutic purposes has been documented in ancient Chinese literature, and early references have even been identified within Egyptian hieroglyphics. Since its early beginnings, chiropractic care has undergone a number of harsh criticisms from other professions within the health care field. Nonetheless, the field of chiropractic care remains a critical component of the health care system today, and is regarded highly as an “alternative treatment.” To date, all 50 states offer a licensure in chiropractic care, and extant literature has suggested that it is one of the largest alternative medical professions. It has been estimated that chiropractors perform over 90 million manipulations every year. In terms of patient trends, early estimates suggested that one in three individuals experiencing back pain have seen a chiropractic practitioner for symptom management. Indeed, many regard the practice of chiropractic care as leading the way in terms of non-invasive techniques for improving patient outcome. Moreover, chiropractic practitioners use a variety of manipulation techniques to help alleviate low back pain, neck pain, headaches, as well as pain in other areas of the body. Indeed, for some pain conditions, the primary intervention method is chiropractic care, and when other interventions are available, chiropractic care is regarded as an ideal complementary intervention. The history of chiropractic care dates back to before the 19th century, when its clinical practice to improve the outcomes of patients formally began. Many practitioners regard September 1895 as the formal emergence of chiropractic care. It was on this date that Daniel David Palmer was reported to have performed the first spinal adjustment. Since this time, both anecdotal and empirical evidence regarding the efficacy and effectiveness of chiropractic care has vacillated widely. Indeed, chiropractic care has received much skepticism, even being described as a “mystical” and a “pseudoscientific” profession by mainstream medicine. Around the turn of the 20th century, when chiropractic care began to emerge as a specialty, the field of medicine as a whole was generally operating from the framework of practicing a skilled craft rather than an art, particularly in rural parts of America. Empiricism and evidenced-based practice had not fully permeated the field. It wasn’t until the publication of the Flexner Report in 1910 when health care began to acculturate the practice of science into its treatment methods and training programs. This publication was the culmination of findings from a large study examining the medical education of 155 medical schools in the U.S. and Canada. This report called for provisions not only for training programs in health care, but also in terms of licensure. Following publication of the Flexner Report in 1910, training programs within the health care system have become more selective regarding admissions, and their curriculums have become increasingly rigorous. In terms of chiropractic, two organizations oversee the standardization of these training programs and their expectations: the World Health Organization and the American Chiropractic Association. Overall, these training programs require a minimum of 4,200 curriculum hours. This includes time spent in the classroom, as well as in the laboratory or engaged in supervised clinical service. Specifically, chiropractic trainees are required to complete 1,000 hours of supervised clinical training, which is also accounted for within the total curriculum hours. For trainees completing a doctorate of chiropractic, additional requirements include passing all national and state board and licensure exams. Once they complete the training requirements, individuals with a doctorate of chiropractic are regarded as physicians in a number of states within the United States. Trainees within chiropractic training programs generally receive rigorous instruction in the basic sciences, as well as the clinical sciences. Students in these programs receive education in terms of the general medical sciences. This includes anatomy, physiology, and biochemistry. Students are also required to receive comprehensive education on differential diagnosis, radiology, and various therapeutic techniques. The primary goal of these programs is to expose students to a rich learning environment with regard to both the structure and function of the human body in terms of both healthy and diseased states. Chiropractors have the ability to provide benefits for a number of different conditions; however, there are limits as to the scope of their practice. It is widely recognized that individuals practicing chiropractic care can manage and provide health care for many conditions that are not necessarily neuromusculoskeletal in nature. Chiropractic practitioners who train at the doctorate level are equipped with a knowledge base and skill set that allows them to treat a number of non-neuromusculoskeletal concerns. Generally, in terms of neuromusculoskeletal conditions, chiropractic practitioners most frequently treat individuals with osteoarthritis, spinal disc conditions, carpal tunnel syndrome, tendonitis, sprains, and strains. In terms of the non-neuromusculoskeletal conditions, chiropractic doctors can provide relief to individuals with allergies, asthma, digestive disorders, and otitis media (non-suppurative). Moreover, new research is being developed on other conditions in which chiropractic medicine may be able to provide substantial benefits. What Does Chiropractic Care Help? Prevalence estimates have indicated that up to 84% of adults will experience some form of back pain over the course of their lifetime. Of even greater concern is the fact that relapse rates with regard to individuals with back pain are exceedingly high. Some evidence has suggested that up to 78% of adults who have experienced an episode of back pain are expected to experience another episode of pain at some point in their lifetime. According to the Center for Disease Control (CDC), back pain has been linked with significant individual disability and is believed to be the source of a number of detrimental impacts on a patient’s functioning both at home and at work. The National Institutes of Health have estimated that back pain costs those in the U.S. approximately $50 billion every year. Indeed, back pain is considered to be the leading contributor to missed work, as well as the most common cause of employment-related disability. Further, back pain may also be to blame for decreased productivity at work and increases in health care utilization. 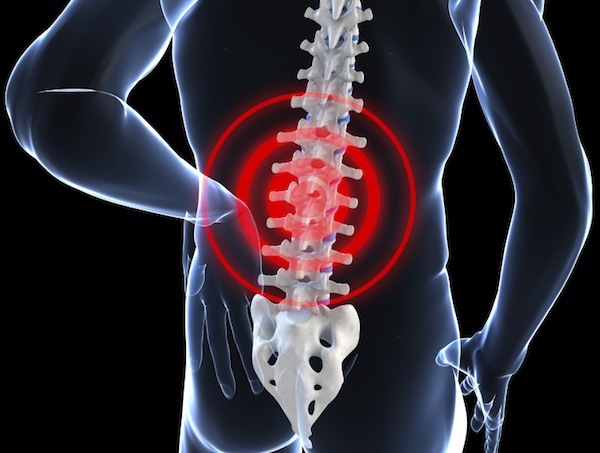 Over the course of the last ten years there has been a significant increase in studies attempting to identify the prognostic factors of back pain, as well as randomized control trials testing the effectiveness of the varying treatment options available. In order to have a better understanding of pain, how it originates, how it progresses, as well as how each one is different from one another, chiropractors must possess an in-depth understanding of the various components of the spine. This knowledge provides them with a solid foundation for understanding the complex relationships within the systems of the human body and serves as an organizational framework for developing an individualized treatment plan for their patients. In general, however, conditions that are typically seen by and receive treatment from chiropractors are those that involve the spine, which is a complex system that includes a number of individual systems and components that may be implicated as the source of either acute or chronic pain. More specifically, the vertebral column is the structure that is primarily referred to when talking about the spine or the backbone. The vertebral column can be found on the dorsal region of the torso. In humans, there are 24 individual vertebrae and nine fused vertebrae that make up the vertebral column. These vertebrae are made up of boney tissue, containing the centrum. Both the boney tissue and the centrum are what make up the main body of the vertebrae. The vertebrae also include a number of arches that protrude from the centrum. The vertebral column can be divided up into several different regions. Beginning at the bottom, the sacral curve is made up of four coccygeal vertebrae that form the tailbone and the sacrum. Above the sacral curve is the lumbar curve, which is made up of the next five vertebrae that form the lower back, or the lumbar region. Then is the thoracic curve, which contains twelve individual vertebrae and forms the middle to upper back region. Finally, at the top is the cervical curve, which creates the neck region. The spinal cord can be found within the spinal column. It is a long bundle of nerves that transfers information to and from the brain. The spinal cord begins at the top of the spinal column, at the occipital bone, and runs down through the space between the first and second lumbar. Its primary functions are to transfer motor information, control motor movements, conduit sensory information, and control a number of reflexes. The spinal cord is a crucial aspect of human anatomy; therefore, it is well protected by both the spinal column as well as various layers of tissue known as the spinal meninges. Both the brain and the spinal cord are protected by these thick meninges, which include the pia mater, the arachnoid mater, and the dura mater. The name dura mater translated into Latin means “tough mother.” This is an apt name for this membrane, as its primary responsibility is to protect the brain and spinal cord from possible injury. The dura mater is tough and relatively inflexible, and also helps hold in cerebrospinal fluid. The epidural space is also an important location in terms of pain management using interventional techniques. These spaces are found in the outermost part of the spinal canal. 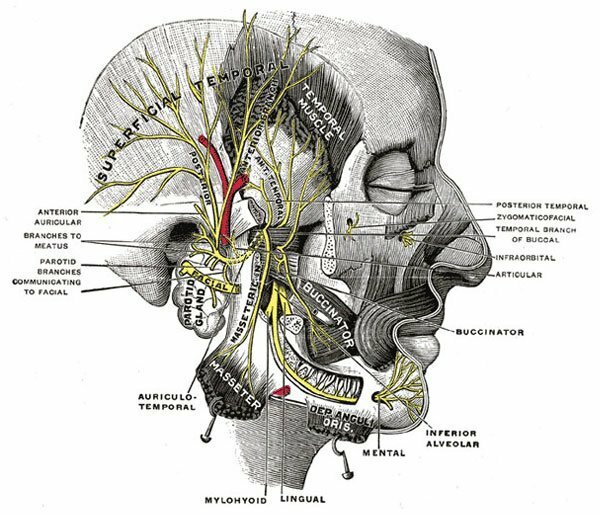 It falls just outside of the dura mater and contains lymphatics, spinal nerve roots, fatty tissue, and a number of blood vessels. Further, the epidural space runs from where the spinal column meets the bottom of the skull all the way down to the tip of the sacrum, and serves as one possible location for delivering anti-inflammatory medication. It is because of this wide-spread connection that medication delivered to this location can be so effective for relieving wide-spread pain owing to swelling and irritation. The place where the nerve initially leaves the central nervous system can also be referred to as the nerve root. There are two primary types of nerve roots: the cranial nerve root and the spinal nerve root. Nerve roots can be the primary sources of pain should they become irritated or damaged. Damage to nerve roots can also result in paresis (i.e., muscle weakness or partial loss of movement) or paralysis (i.e., complete loss of muscle movement). Moreover, all of these individual components may be implicated as the primary source of many acute and chronic pain conditions. Chiropractors conduct clinical investigations through in-depth patient assessments and X-ray imaging to help identify the cause of back or neck pain. Once the source is determined, they rely on manipulation of the affected joint to help regain function, restore mobility, and accelerate the healing process. Other modalities utilized by chiropractors include massage, stretching, ice/heat, electrical stimulation, and nutrition/exercise counseling. Chiropractors can treat a variety of musculoskeletal conditions, including those affecting the limbs, such as sports injuries. Further, the misalignment of vertebrae, known as subluxation, is also commonly identified as the source of pain for many chiropractic patients. With this condition misaligned vertebrae put undue pressure on nearby nerves, resulting in pain. While this can be caused by a solitary traumatic event, more often than not, it is caused by years of poor posture. In today’s modern work environment, a large percentage of the population sit in front of a computer all day and then return home to sit in front of the television. Over time, this sedentary lifestyle can place quite a bit of pressure on the spine, thereby increasing the risk for developing irritation, inflammation, and pain. Some of the most common types of injuries reported today can be treated with chiropractic care. Automobile accidents continue to constitute the majority of injuries sustained annually within the U.S. For these types of injuries, symptoms may surface for several weeks or even months following the initial injury. Other injuries that may be seen at a chiropractic office may be the result of work place injuries, including falls and injuries sustained while lifting. Further, sports injuries are frequently treated by chiropractic care. Chiropractic practitioners are available to treat a wide variety of pain conditions. While it is widely accepted that a chiropractor’s primary focus is the treatment of chronic pain, chiropractors can also provide expertise and guidance in preventing the onset of pain. Upon initial consultation with a chiropractor, you can expect the appointment to be focused primarily on gathering a detailed history of your health. More specifically, the chiropractor will ask you a series of questions regarding you and your immediate family’s current and past health history. Further, the chiropractor will also gather information regarding your pain. They will want to know an approximate onset of the current episode of pain, a detailed description of the pain, and any other relevant details. This initial assessment will help your chiropractor investigate for the potential of any underlying conditions that may be the source of the pain symptoms. Also during the initial visit, the chiropractor will likely conduct a physical exam. During the physical exam, the chiropractor carefully examines the alignment of your body and looks for any structural abnormalities. They may also manipulate several of your joints while assessing for pain. This can help with confirming a diagnosis prior to detailing a treatment plan. If needed, the chiropractor may order X-rays to help identify musculoskeletal abnormalities. After your chiropractor has determined the source of your pain through the patient assessment and physical exam, the next course of treatment typically involves an adjustment. During the adjustment, rapid force is applied manually to the affected area, which pushes it beyond its normal range of motion. In general, patients do not report a significant amount of discomfort during the procedure, though patients may expect to hear a cracking sound during the manipulation. Direct thrust: The direct thrust is probably the most commonly recognized technique utilized by chiropractors. This technique utilizes a high velocity force from the chiropractor, typically using their hands, applied directly to the spine. Patients are expected to hear a cracking sound during the manipulation of the vertebral segments. The goal of the direct thrust technique is to release joints experiencing restricted motion by applying short, sharp force to the area. Articulatory: Many injuries can include impairments in articular, or joint, motion. The goal of the articulatory technique is to restore the injured joint to its full range of motion by counteracting joint stiffness through manual manipulation. For this technique, the chiropractic practitioner applies force at a low velocity with moderate to high amplitude, guiding the joint through its full range of motion. Indirect positional technique: The indirect positional technique is a passive technique for releasing hypertonic muscles and restoring full range of motion within joints. During this procedure, the joint is held in a neutral position, meaning that tension is not experienced within the surrounding tissue or joint, and then force is applied. This technique can also use pressure with the intention to lengthen muscle tissue. Functional technique: The functional technique applies gentle force to the joint in order to release it from restriction. During the procedure, should even the slightest restriction be detected, the joint is held in the position where the restriction was detected until its release. Muscle energy: The muscle energy technique is a non-thrusting method that involves isometric movements with the goal of restoring full range of motion. This technique is considered active, such that patients must participate in the application of force against a restrictive barrier. This force is applied consistently for a period of time (usually several seconds) that is then followed by a period of relaxation. This procedure is then repeated in a slightly different position until no additional improvements in range of motion are detected within the joint. Myofascial release: The myofascial release technique involves stretching fascia tissue (a covering over the muscles of the body) with excess tension and rigidity. Chiropractors are experts at locating areas of uneven tension, which is believed to cause stress and result in pain. 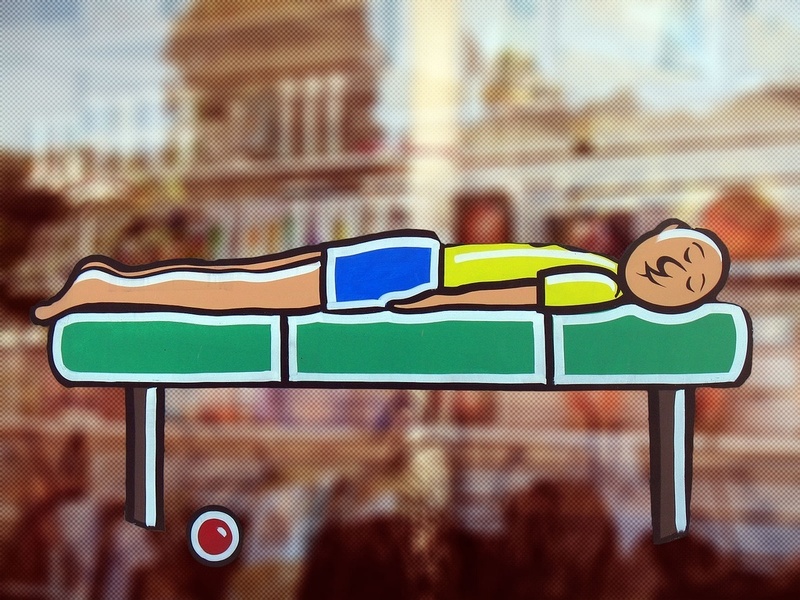 Thus, the myofascial technique involves locating areas of high tension, then applying a light pressure until the area relaxes. Empirical evidence is mounting that documents favorable results with regard to chiropractic care. These studies and reviews have provided some support for the safety and effectiveness of the interventions performed by chiropractors when compared to either invasive surgery or the use of prescription medication. Indeed, the primary goal of chiropractic care is to improve patient outcome by providing safe and cost-effective relief from the debilitating symptoms of pain. For example, chiropractic treatment for cervical spine pain, which can include neck pain, headaches, or upper back pain, involves adjusting the neck by applying pressure to the cervical joints. There are a number of risks and side effects involved in this procedure, however, studies report that these side effects tend to emerge the same day of the procedure and were no longer reported by the patient after 24 to 48 hours. Results of these studies suggest that chiropractic procedures for the treatment of cervical spine pain is associated with a 75% reduction in reported symptoms of pain at twelve weeks when compared to medication. Interestingly, the pain relieving benefits of chiropractic care were maintained during a one-year follow up. Similarly, a year-long, randomized, controlled trial examining the effectiveness of spinal mobilization in patients with chronic neck pain, compared to either physiotherapy (which was primarily exercise) or usual care from a general practitioner (which was typically education, medication, and supportive counseling), indicated that spinal mobilization was linked with faster recovery and less reported pain at 26 weeks. Interestingly, however, the differences in reported recovery and pain symptoms were not apparent after 52 weeks. Patients with chronic low-back pain have also been shown to benefit greatly from chiropractic care. In one study, patients who were treated by chiropractors for their symptoms of low back pain exhibited greater improvements in pain after four weeks than did those who received usual care from their primary care physicians. In terms of cost effectiveness, chiropractic care has received ample support for its benefits above and beyond that of surgery or medication. More specifically, spinal mobilization performed by a chiropractor costs about one third less than that of physiotherapy or usual care. Chiropractic care is regarded as a safe alternative to invasive surgery or prescription medication for the treatment of many types of pain conditions, particularly those originating in the musculoskeletal system. There are very few risks associated with chiropractic care and serious complications associated with the procedures are quite rare. It is recommended that patients ensure that their practitioner is highly trained and appropriately licensed to provide chiropractic care, prior to the initial visit. It is recommended that patients tell their chiropractor if they have a history of osteoporosis, an unstable spine, cancer in the spine, an increased risk of stroke, or tingling/numbness in their extremities. Chronic pain is a serious public health concern. In fact, the majority of all adults will experience a pain condition in their lifetime that is serious enough to interfere with daily functioning. Further, chronic pain is associated with increased visits to health care providers and high medical costs. Chronic pain has also been implicated as one of the top causes of missed work annually. There are a number of treatments available, which include prescription medication, chiropractic care, steroid injections, and even surgery. Of these, chiropractic care is regarded as the safest alternative to taking prescription medication or undergoing invasive surgery. Chiropractic care is among the oldest treatment modalities still in practice today. The primary area of concern in chiropractic care is accurately assessing and effectively treating pain symptoms associated with the musculoskeletal and nervous systems. In general, chiropractic care focuses on the impacts of disorders within these systems, such as back pain, neck pain, joint pain, radiating pain, and headaches, as well as the potential repercussions to the patient’s overall health and wellness. Practicing chiropractors can receive either a master’s or doctorate level of training, equipping them with highly-specialized skills in manipulation for providing pain relief and improving patient outcomes. The key goals of manipulation, also known as a chiropractic adjustment, are to increase mobility in the musculoskeletal system, thereby decreasing chronic pain without the use of prescription medication. The scope of chiropractic care is wide. Indeed, chiropractic care is beneficial for the treatment of migraines, sinus, and cluster headaches; pain and stiffness in the upper, mid, and lower back; pain and stiffness in the neck; muscle spasms or pinched nerves; pain, numbness, or weakness in the legs or arms; pain and dysfunction in the legs or arms; carpal or tarsal tunnel syndrome; and many forms of pain that results from injury. Further, chiropractic care can also provide benefits to non-musculoskeletal conditions, such as asthma, arthritis, bursitis, chronic fatigue syndrome, colic, ear infection, fertility issues, frequent colds or flues, gastrointestinal syndromes, intervertebral disc syndrome, loss of equilibrium, menstrual disorders, multiple sclerosis, sciatica, scoliosis, temporomandibular joint disorders, tendonitis, thoraic outlet syndrome, and respiratory infections. Benefits to chiropractic care are numerous and the risks involved are considered to be quite rare. Patients receiving chiropractic care are likely to experience significant relief from debilitating pain, along with improvements in their overall day-to-day functioning. Indeed, several research studies have shown that chiropractic manipulation can assist patients with decreasing the use of medication, achieving faster recovery from their pain condition, and less patient disability. When chiropractic care is utilized as a complimentary intervention, patients generally experience greater improvements in their pain, as well as their activity tolerance. A proper diagnosis is necessary prior to identifying the treatment plan that is right for you. It is important that you speak with a practitioner trained and licensed to practice chiropractic care about the appropriateness of this form of treatment. Brown R. A health care system in transformation: Making the case for chiropractic. Chiropr Man Therap. 2012;20(37):[Epub]. Cooper RA, McKee HJ. Chiropractic in the United States: Trends and Issues. Milbank Q. 2003;81(1):107-138. Gatterman MI, Hansen DT. Development of chiropractic nomenclature through consensus. J Manipulative Physiological Therapeutics. 1994;17(5):302-309. Imamura M, Furlan AD, Dryden T. Evidence-informed management of chronic low back pain with massage. Spine J. 2008;8(1):121-133. Korthals-de Bos IB, Hoving JL, van Tulder MW, et al. Cost effectiveness of physiotherapy, manual therapy, and general practitioner for neck pain: Economic evaluation alongside a randmoised controlled trial. Brit Med J. 2003;326(7395)911. Mansholt BA, Stites JS, Derby DC, Boesch RJ, Salsbury SA. Essential literature for the chiropractic profession: A survey of chiropractic research leaders. Chiropr Man Therap. 2013;21(1):33. Meeker WC, Haldeman S. Chiropractic: A Profession at the Crossroads of Mainstream and Alternative Medicine. Annals Internal Med. 2002;136(3):216-227. Nelson CF, Lawrence DJ, Triano JJ, Bronfort G, Perle SM, Metz RD, Hegetschweiler K, Thomas LaBrot T. Chiropractic as spine care: A model for the profession. Chiropr Osteopat. 2005;13(9):[Epub]. Netter, FH. Atlas of Human Anatomy. Saunders Elsevier, 4th Edition. 2006. ISBN-13:978-1-4160-3385-1. Reggars JW. Chiropractic at the crossroads or are we just going around in circles? Chiropractic Man Therapies. 2011;19(11):[Epub]. Roecker CB, Long CR, Vining RD, Lawrence DJ. Attitudes toward evidence-based clinical practice among doctors of chiropractic with diplomate-level training in orthopedics. Chiropr Man Therap. 2013;21(1):43­.